Come See Us @ ProMat! Meet the BEAST at ProMat 2017! Visit Us and Meet the BEAST! Come visit us at ProMat and we'll show you how our products can help you "Solve for X". 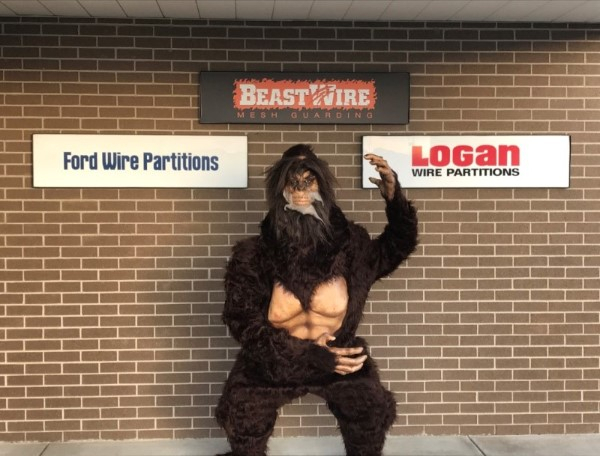 With two unique brands, BeastWire & FordLogan, we provide economical solutions for: machine guarding, mezzanine rail guards, pallet rack enclosures, tenant storage lockers, tool cribs, driver's entrance cages and more! We will be featuring our all-new rack brackets (click HERE for video) as well as two unique door options for our BeastWire line. The BEAST will be in Booth #S3449 - we'll see you there! Copyright © 2017 SpaceGuard Products, Inc., All rights reserved.